I am so excited about getting into this show! 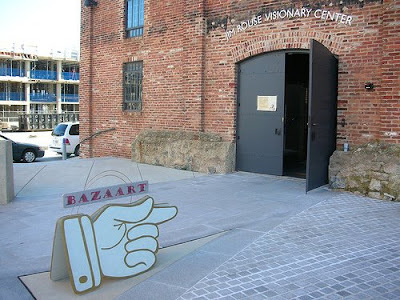 Bazaart at the American Visionary Art Museum is a wonderful collection of artists ranging from folk to funky. This year, many a member of BEST will be there ! Here's the details. An opportunity to get the first shot at the original creations by 50 regional artists and craftspeople prior to the Saturday Bazaart extravaganza. Spend a relaxing evening strolling among Bazaart artisans and their wares while nibbling light fare, and perhaps enjoying a beverage. Music TBA. Location: American Visionary Art Museum, Jim Rouse Visionary Center, 3rd Floor. Admission to Preview Party & Sale: $20 at the door.